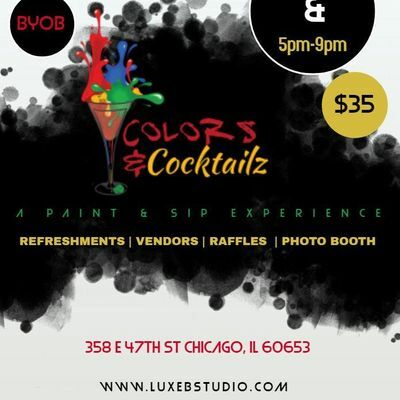 Join us for our monthly Colors & Cocktailz paint party. We welcome yo to our spcae for the ultimate paint party experince. 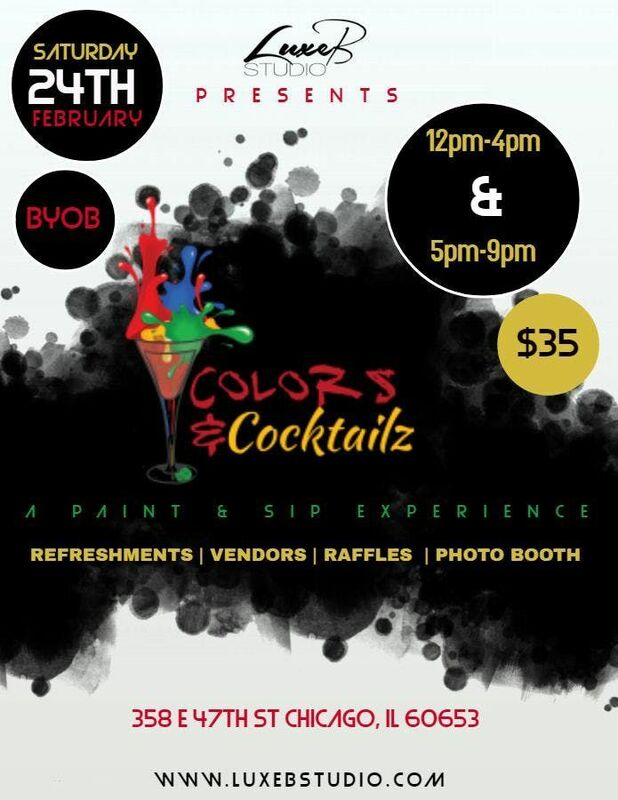 Enjoy step by step art instruction by one of our art instructors, refreshments, raffles, vendors and a photo booth! All supplies provided and we're BYOB. Tell a friend and bring them to the party.